Saproxylic(adjective): relating to or causing the decay of wood. It can also describe organisms that live rely on or live in dead wood. 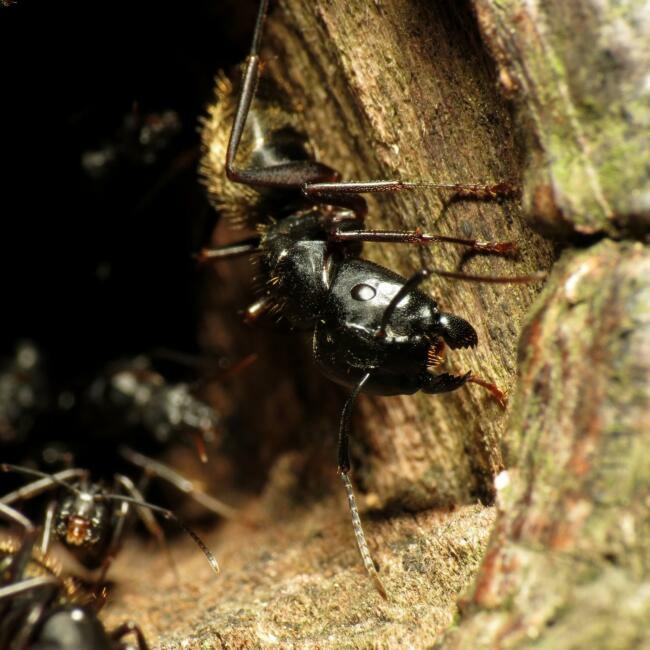 A great example of a saproxylic insect is the carpenter ant. These marvelous creatures chew tunnels and chambers in wood as a sheltered place to raise young. Many beetles and fungi are saproxylic. There are also many saproxylic bees that use tunnels in dead wood for their nesting sites.